It's waaay too hot here in Sweden right now to blog, or do anything else for that matter. 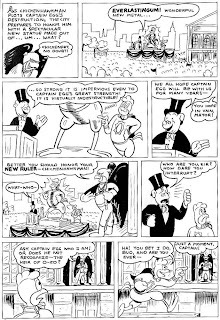 But, as promised, here are a few samples from Mike Barrier's "Captain Egg". All taken from Bill Spicer's (Yes, Barks fans, THAT Bill Spicer.) magazine "Fantasy Illustrated" #7, spring 1967. The color piece was the magazines backcover. The front was graced by a Dan Adkins and Wallace Wood science fiction drawing. 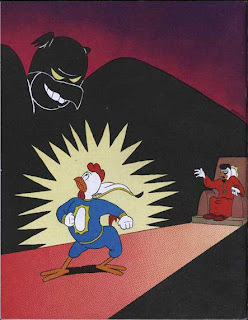 Some of you might recognize one of the panels that was used as an illustration along with a letter from Barks to Barrier in the Carl Barks library albums. You can really see the Barks influence in these samples. I wonder if there are more Capt. 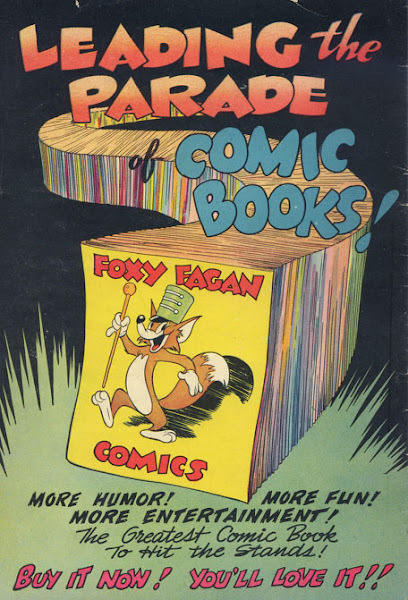 Egg stories in other magazines from that period? 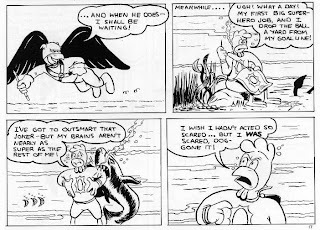 Tomorrow I'll post some more rare Paul Murry stuff and soon some of George Wunders try-out strips for Terry and the Pirates made in 1946.